Go on and be seduced by the delicious yarn, but I will warn you! This pattern is epic in the sense that it takes for freakin' ever. 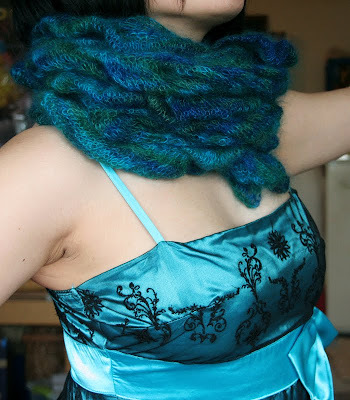 It's 1300yds (4 skeins) of slippery yarn (I knit these on Addi Turbos, do NOT do this. For sanity's sake, please use bamboo or Addi Lace needles!) and at times rows have up to 520sts. 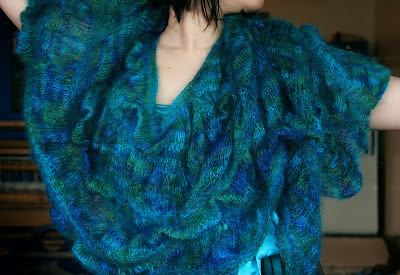 I have knit entire sweaters in half the time that this shawl took. 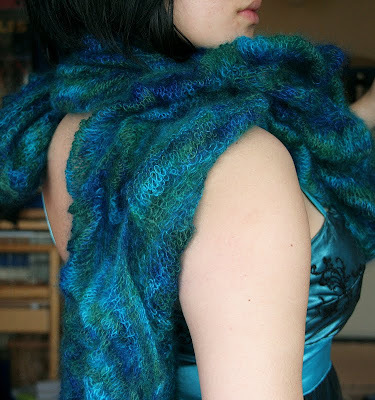 The pattern for the Illusionist Shawl can be found in the book Destination Alchemy. 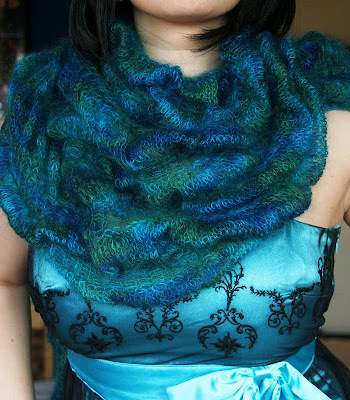 You do end up using almost all of the yarn (I had maybe a 5th left from the last skein) but if you wanted you could easily halve the pattern to make a scarf, though I think the size of the shawl makes it more versatile.